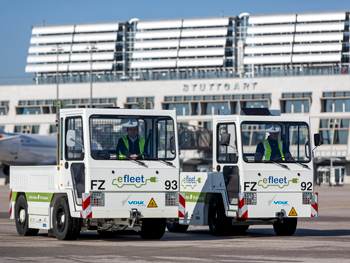 During the three-year “efleet” research project, VOLK and project partners Stuttgart Airport and German Aerospace Center (DLR) examined the use of battery-driven baggage and cargo tractors at airports. The project, which ended on June 30, 2016, studied not only the two tow tractors from VOLK, but also an electric-drive passenger bus and an electric push-back tractor from other manufacturers. It was part of the Baden-Württemberg initiative “Living Lab BW e-mobil” sponsored by the Ministry for Economy and Technology (BMWi). 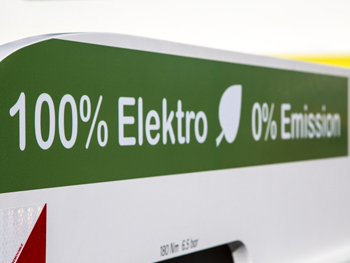 The initiative forms part of four programs across Germany within the “Schaufenster Elektromobilität” (Window on E-mobility) scheme. During the project, VOLK developed two eco-friendly electric-drive tractors specially tailored to ground handling. Firstly, the VOLK EFZ 30 NT Ultra Long Range (ULR) is a baggage tractor designed for long driving ranges. It has a battery capacity of 80 V/1.395 Ah. Secondly, the VOLK EFZ 80 N is an electrically driven cargo tractor. Featuring a peak performance of 70 kW, a vast battery capacity of 80 V/1.550 Ah, and a body weight of some 9 tons, it is ideal for the challenging requirements of cargo handling. The findings were very positive. In everyday use, the two battery-powered VOLK tractors operated perfectly and fully met all requirements. When it came to baggage handling, they achieved ranges of up to 120 kilometers in regular use. Even on peak days, e.g. the start of the Easter break, the VOLK EFZ 30 NT ULR coped perfectly and without recharging. 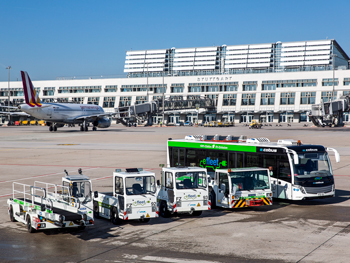 That means the vehicle represents an equal-value replacement for the hybrid tractors Stuttgart Airport has used for baggage handling in the past. Similarly, the VOLK EFZ 80 N met the challenges of cargo handling in every respect. An interesting finding in this connection was that drivers often preferred the battery vehicles over conventional, diesel tractors. 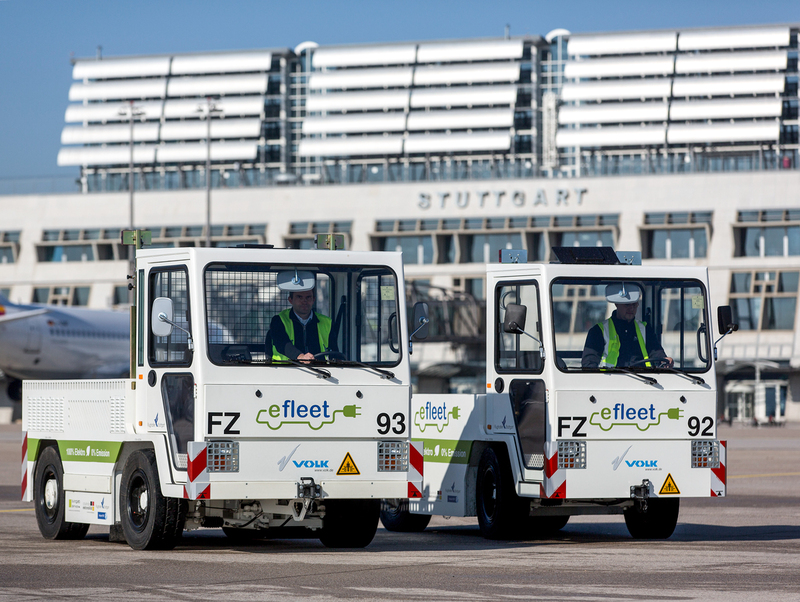 For these reasons, Stuttgart Airport decided to switch completely to electric vehicles from VOLK for baggage handling on the apron as from 2017. By the summer of 2017, no fewer than 18 VOLK tractors of type EFZ 30 NT ULR will be in operation there. They will be supplemented by 10 more electric tractors from the third-party handler Losch, which also relies on VOLK vehicles.